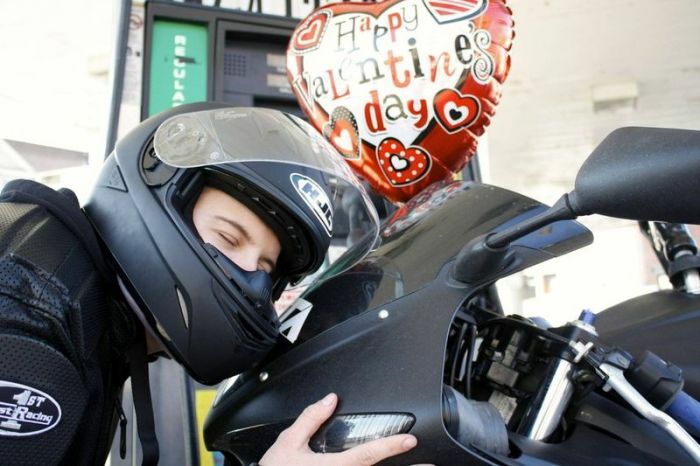 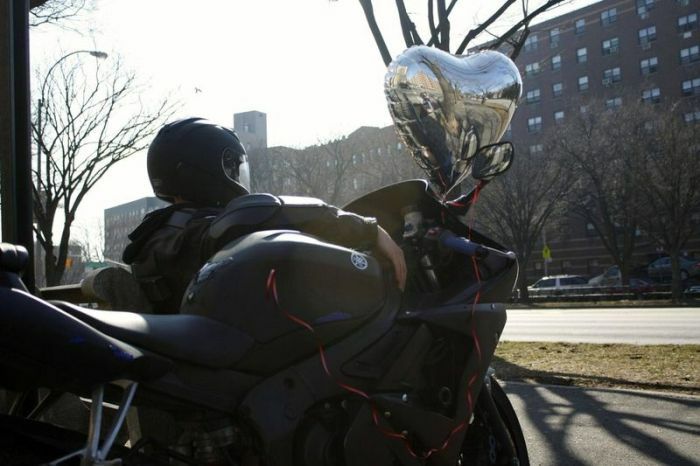 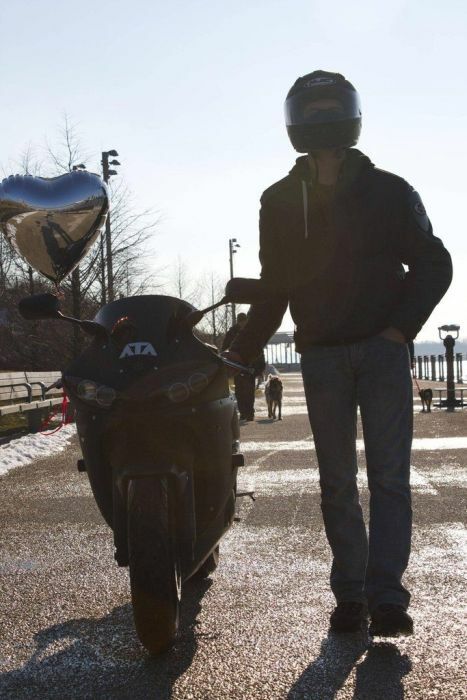 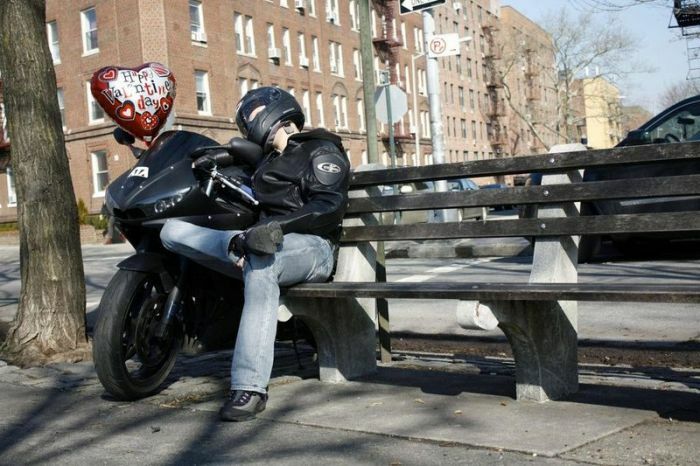 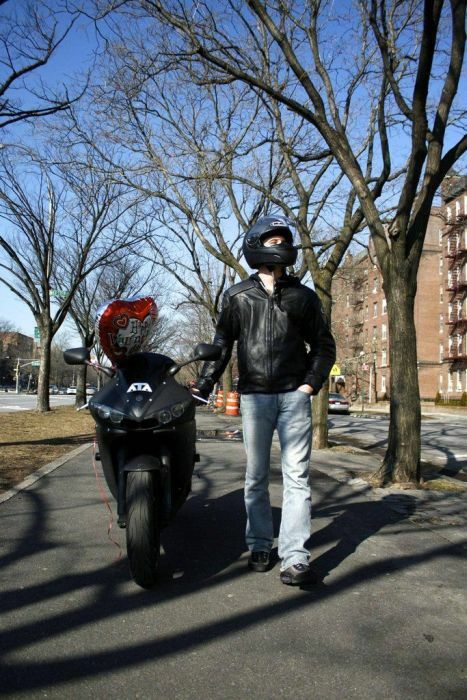 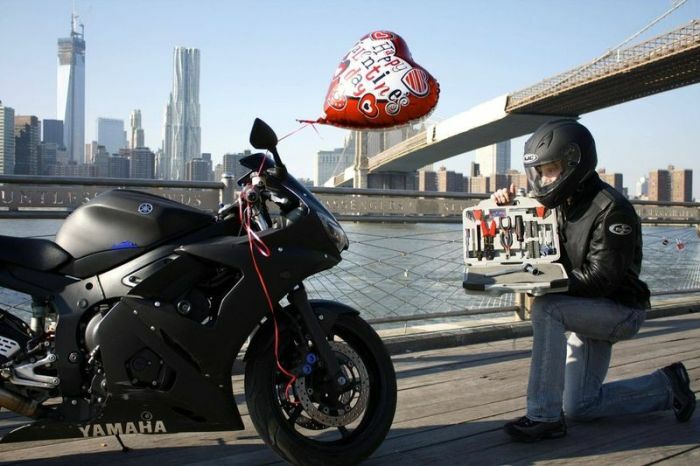 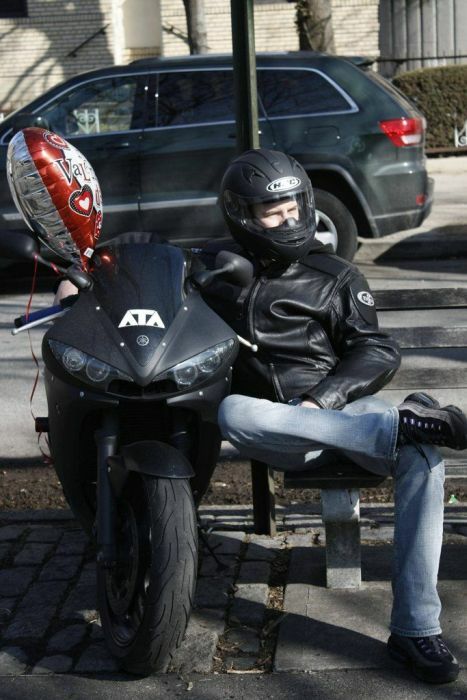 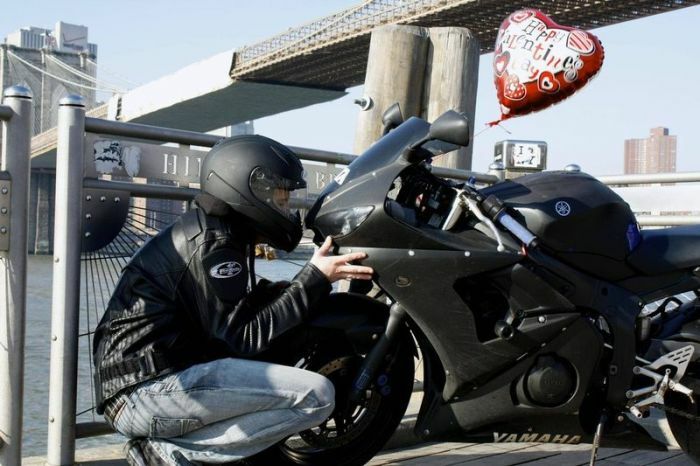 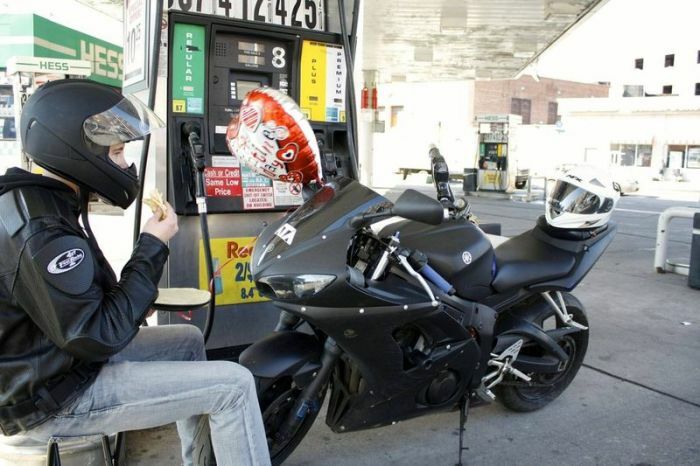 How to spend Valentines Day if you are a true biker. 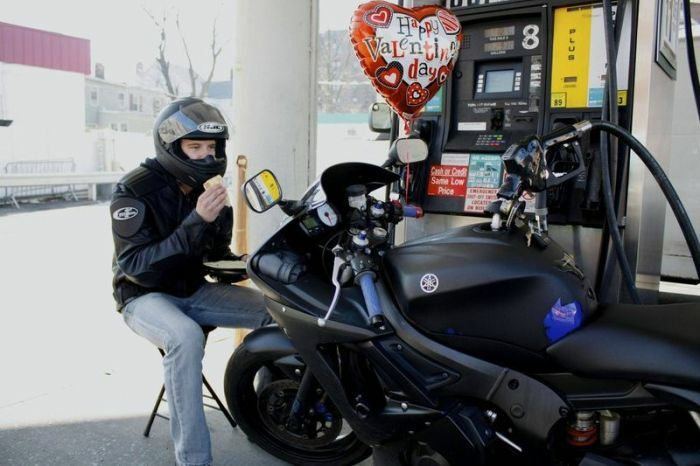 Poor guy, maybe he'll find a nice biker chick. 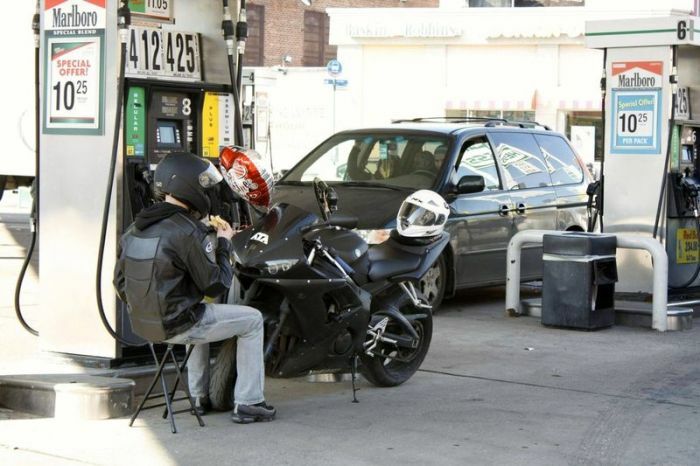 This is a little silly A.C,.,. 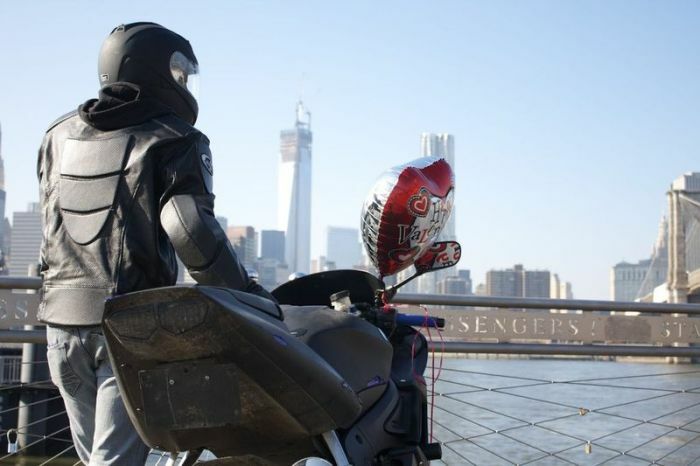 He has a spare helmet in some shots.